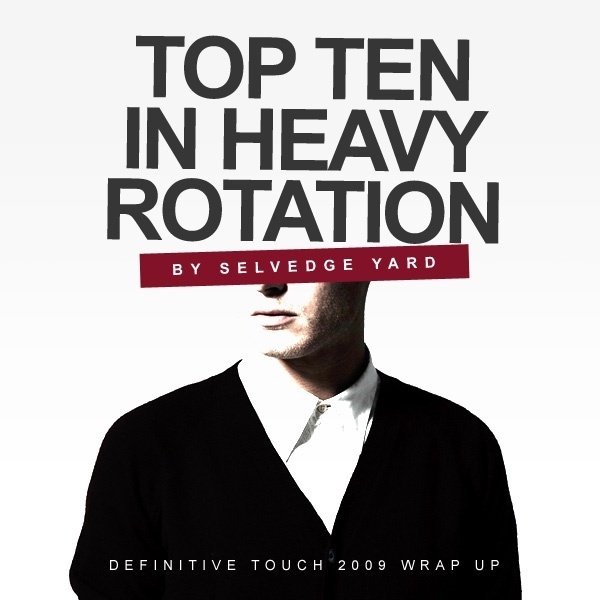 2009 Wrap Up – Top 5 in Heavy Rotation – Jon Patrick, The Selvedge Yard | Definitive Touch - Men's Contemporary Style. I’ve spent a fair amount of time in the menswear biz, and heard my share of spiels about fashion and style. At the end of the day, what you wear and how you wear it, says a lot about you. In that regard I consider myself pretty soft spoken, and I don’t pay a lot of attention to the noise around me. I know what I like, and I know what works for me — a pretty regular guy. We’re all different, that’s the beauty of this world. What floats my boat, may not be the answer for you— and vice versa. Originality is a good thing. With the sea of menswear blogs out there, guys have instant access to the latest cool-hunter brands and all the up-to-the-minute ‘must have’ looks. The danger is it can quickly become a homogenized landscape of well-meaning Americana hipsters and designer denim fetishists. And hey, there’s a lot of great product out there— but it can all get a little nuts. 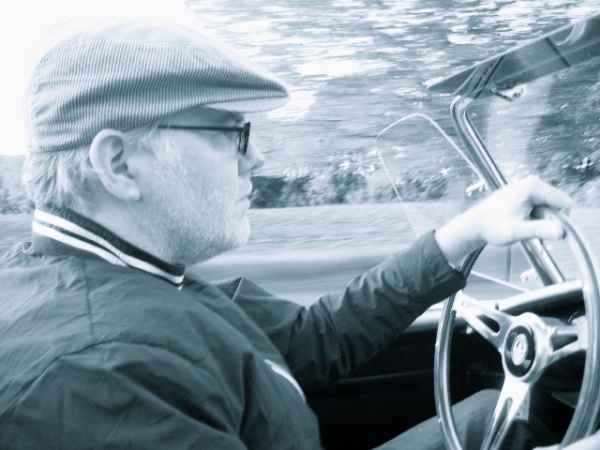 I don’t profess to be anyone’s arbiter of cool– but I do like that with age, I’ve become pretty comfortable in my own skin, and trust myself more than I do the pages of a magazine, or the musings of some blog-aholic Zoolander. Dressing feels like an extension of who I truly am — and not in a lazy way, but just an honest to goodness approach to sliding on a second skin. Not to get all fashionisto on you — but fit, fabric and details do make a difference. I’ll admit, for me it has to be the LVC 1947 deadstock repro 501. The original anti-fit. It has a slim, stovepipe leg, and legendary Cone Mills selvedge denim– ‘nuff said. RRL, my other go-to, does a more than exceptional job as well. And wear them in yourself, please. Think of your jeans as a personal journal that tell a story with each wearin’. Don’t be caught in some pre-contrived jeans, man. Show your jeans some love, and don’t overwash. Ok, working at Ralph all those years did have an effect on me. But honestly — what’s better than a near threadbare pink oxford with a pair of jeans, or paired with grey flannels and a bow tie? The defense rests. Pink in general rocks hard. Yeah, the one you probably think looks like a sock tied around my neck. Well, that sock is my savior, bro. And it’s best buddies with my Levi’s jeans, pink oxford, flannel trousers– yada yada. Go tie one on. Like the thin as a rail, dry as a bone, strap holding an old engine-turned slider buckle that I wear nearly everyday. Again, the whole versatility/timeless test—jeans and grey flannels, right? I have more belts than anyone should admit to– and I keep wearing the same one. That’s when you know it’s right. You know the one. I’ve worn ‘em with jeans, suits—just not shorts. So timeless, rugged and no nonsense, it’s not even worth talkin’ about. And I’m not exactly the ideal spokesman for the company by any means– I wear mine into the ground. I’ve had people come up and offer to shine them for free. Step back brother—you ever heard of patina? Well, that’s it in a nutshell,, folks. I could go on, but honestly this is pretty much the core of my being. So, tell me—what’s on your short list? Jon Patrick is the VP of Product for J. Hilburn Men’s Clothier and the creator of The Selvedge Yard. perplexed and said. you already have a closet full of those……. If it works:) thanks for reminding me that yes I am a shirt snob. just like my car the pony always worked for me………. I came this || <— to getting the 1947s, but I wear alot of 1950s gab shirts, and they fit alot looser in the chest than modern shirts, so the skinny leg was just too skinny. In the end I got a pair of repro 1937 jeans from a german company called Pike Brothers Denim, and they are a solid pair of jeans. They have been breaking in nicely. Their WWII t-shirts are cool too. Is this PSH on the photo?